John Burningham was born in 1936 in Farnham, Surrey, and attended the alternative school, Summerhill. In 1954 he spent two years travelling through Italy, Yugoslavia and Israel, working at a variety of jobs. In 2012, he was shortlisted for a Hans Christian Andersen Award for Illustration, which celebrates one living illustrator's lasting contribution to children's literature. John Burningham's stories and illustrations for children are quirky, delightful and original. He is acclaimed by Kate Kellaway as 'one of the finest, most ground-breaking creators of children's picture books in the land', who has produced 'outstanding, radical work through the decades' (review of Burningham's autobiography, The Observer, 26 July 2009). 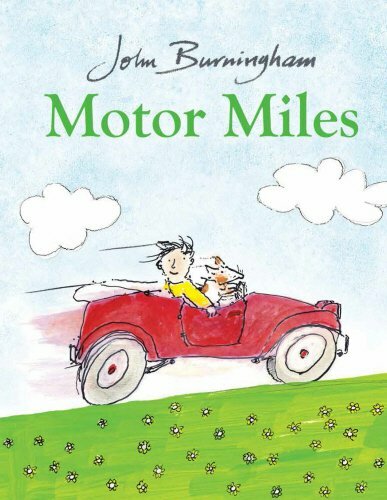 Burningham's poignant and evocative work appeals to parents and teachers as much as to children, for he does not write or paint 'down' to his child readers, and does not focus specifically on a child audience while he works: 'I am not thinking about [children] when I do this at all. I never do anything differently because it's for children. I am not trying to make a landscape that children can understand. I am just making a landscape' (Burningham interviewed by Nicolette Jones, The Telegraph, 22 May 2009). Burningham has written and illustrated prolifically since the early 1960s. 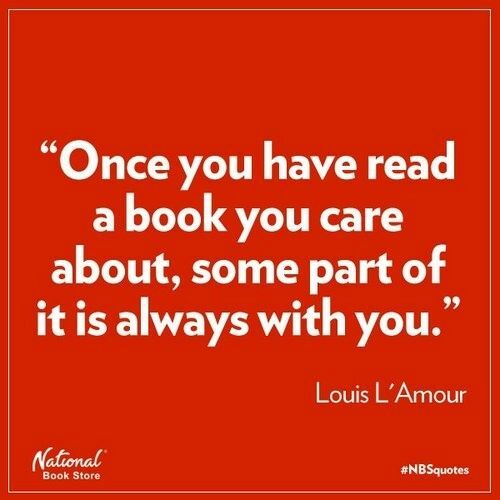 Of his vast output, his most popular and well-known books include Borka: the Adventures of a Goose with No Feathers (1963), Mr Gumpy's Outing (1970) and Granpa (1984): all three are award-winners and are now regarded as classic children's books. The majority of Burningham's work has been published by Jonathan Cape, and the beginning of his career coincided with Cape's early innovative days under forward-thinking editor Tom Maschler. This gave Burningham the freedom to develop his own style in both writing and illustration, relatively free from commercial considerations. Maschler's editorship and Burningham's early work also coincided with a shift in attitudes towards children's books that took place in the 1960s: during this period, picture books evolved 'from preachy narratives to exuberant and colourful chunks of wonder' (Deborah Orr, The Independent 18 April 2009). Borka, Burningham's first book, was 'instantly recognised as a classic of this dynamically developing genre' (ibid). Most of Burningham's stories are thought-provoking and even philosopical, and Borka offers a fresh and imaginative take on a traditional story ofostracism and learning to be true to one's self: Borka is rejected by her fellow geese for being different, but eventually finds happiness and acceptance in Kew Gardens, where she is surrounded by other unusual birds. Borka was followed by several more similar books, each featuring the adventures of delightfully-named animal characters: Trubloff: The Mouse Who Wanted to Play the Balalaika (1964); Humbert, Mister Firkin and the Lord Mayor of London (1965); Cannonball Simp (1966); Harquin: The Fox Who Went Down to the Valley (1967). Burningham's entry in The Cambridge Guide to Children's Books in English (ed. Watson, 2001) defines these early works as 'classic realist texts accompanied by striking, painterly illustrations', while Deborah Orr comments: 'The illustrations look fresh and contemporary today, with their distinctive melange of techniques and styles, and their beautiful, evocative landscapes and skies. At the start of the 60s they must have seemed mind-blowing' (The Independent, 18 April 2009). Mr Gumpy's Outing (1970) marked a change of style for Burningham, who abandoned his bold, painterly style and instead opted for humorous linear drawings, a style he has continued to use in subsequent works. The title character of Mr Gumpy's Outing has become one of Burningham's most popular characters, also starring in Mr Gumpy's Motor Car (1973). Mr Gumpy, a human character accompanied by both child and animal friends, is the epitome of the classic grandfather figure: gentle, contented and mild-mannered, he remains calm, unflappable and generous, even when his friends create chaos around him. Burningham's prose is simple and uncluttered, with a subtle humour that appeals to adults as well as children, while the text and the illustrations complement each other beautifully. Burningham's 'Shirley' books have also been extremely popular: Come Away From the Water, Shirley (1977) and Time to Get Out of the Bath, Shirley (1978). He demonstrates a sensitive and humorous understanding of the difference between the perspective of the adult and that of the child: the sensible and protective concerns of the parents are contrasted with Shirley's desire to indulge her imagination and her sense of fun. The contrast is emphasised by the illustrations: Shirley's parents are depicted in plain line drawings, while the facing pages abound with colour, offering exciting images from Shirley's imagination. Other works also celebrate the child's imagination, including a much more recent book, The Magic Bed (2003), in which a neglected child experiences all sorts of adventures on a junk-shop bed with magical powers. Granpa (1984), one of Burningham's most poignant and moving books, addresses bereavement. It was inspired by the relationship between Burningham's youngest child, Emily, and her maternal grandfather who lived next door. Granpa offers a sensitive depiction of death and loss, though Burningham comments that it is also a celebration of those special relationships that span generations: 'People say Granpa is about death. I think the point of it is the relationship between the very young and the very old. There is a bonding, especially between grandfathers and young children' (Burningham in The Telegraph, 22 May 2009). Some of Burningham's stories explore and try to understand the so-called 'bad' behaviour of children. Where's Julius? (1986), John Patrick Norman McHennessy: The Boy Who Was Always Late (1987) and Edwardo: the Horriblest Boy in the Whole Wide World (2006) empathise with the child's-eye-view, depicting the child's behaviour with sensitivity, understanding and wry humour. Edwardo's behaviour is clearly linked to the projections of the adults around him: criticism and derision lead to negative behaviour, while positive expectations and opportunities to learn and grow gradually transform him. Burningham's skill is his ability to present this as a delightful and funny story, without any overt preaching. As with most of his books, the text is minimal and the illustrations are an integral part of the story. 2009 saw the publication of John Burningham, which combines autobiography with an anthology of Burningham's work. Described by one reviewer as a 'sumptuous, solid scrapbook of an autobiography' (Kate Kellaway, The Observer, 26 July 2009), it has been highly acclaimed, and offers an entertaining overview of Burningham's rather bohemian childhood, in which he attended various progressive schools including Summerhill. John Burningham also celebrates the author's vast and versatile output of stories and illustrations, for which he is now regarded as one of Britain's most innovative and outstanding author-illustrators for children.